Cava Bertha has captured the attention of large customers, individuals and companies. What Pep and Gemma likes most is thinking that you can always look at the brightest and most exciting side of life. We are a nearby company where we offer a personalized and human treatment to achieve the maximum satisfaction of our clients. Outside Spain we are present in several countries where we work with importers in Germany, Belgium, Norway, Switzerland, Japan, Canada, Finland and other countries. The visit to Cava Bertha is free and we do it on Saturdays and Sundays at 11:00 am. No reservation required. Please be punctual. From 01 to 07 of January. 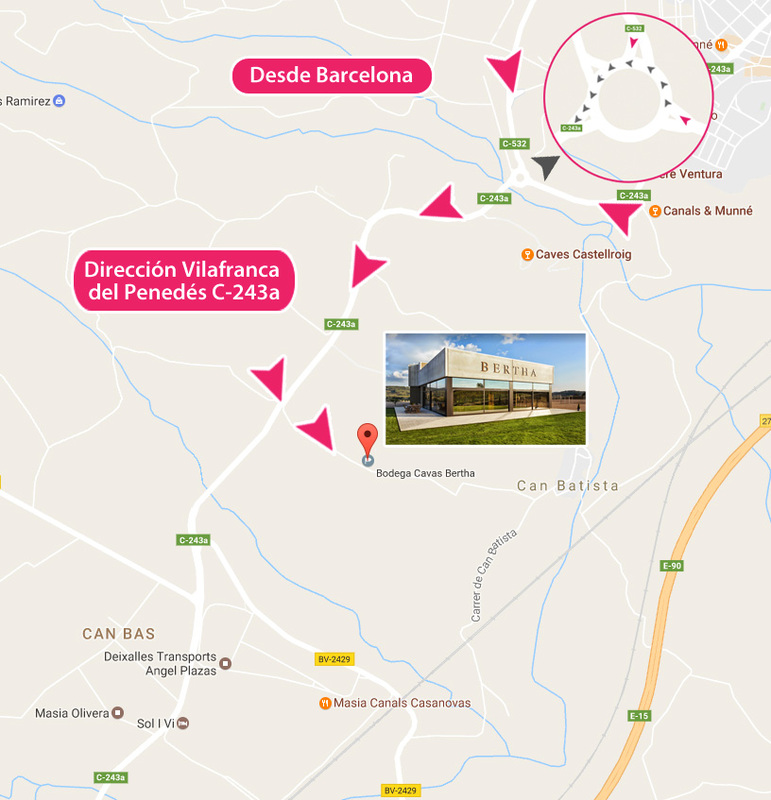 Cava Bertha is located in Subirats, next to Sant Sadurní d’Anoia. When arriving by the C243a you have to follow these indications to find it to the first one. We will wait for you! Come to Bertha with your company, family, friends or on the birthday of your loved ones. You will enjoy a special atmosphere accompanied by a unique landscape that you will remember as an unforgettable day.